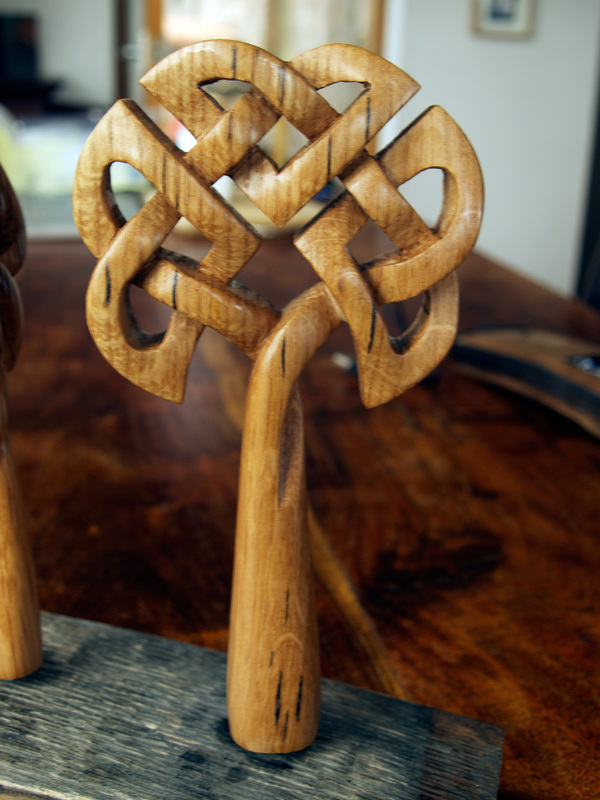 posted by stu, 16th May 2012, Categories: Celtic., Gifts, Indoors., News., Recent projects., Wood. 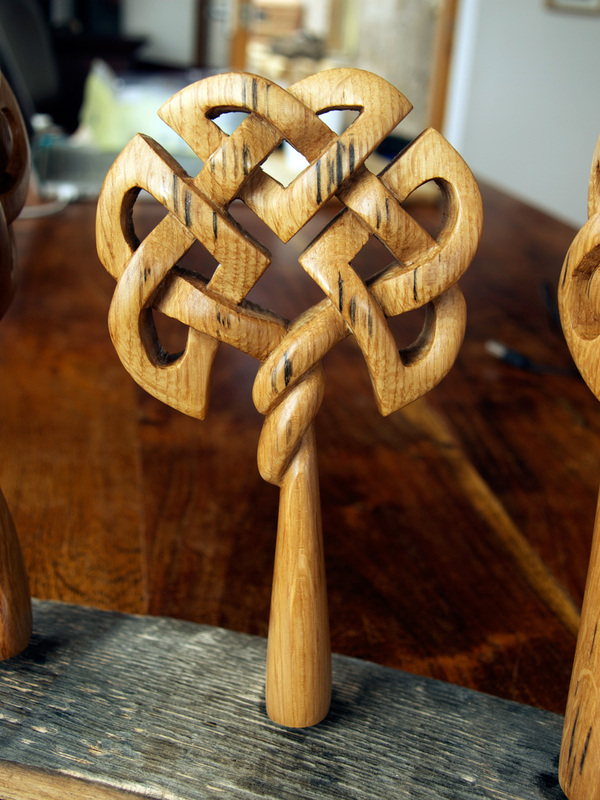 Here are three more after being carved and oiled and drying on their rack before being mounted on stones and dispatched to new owners. I’ve recently developed some new designs, with a twist! 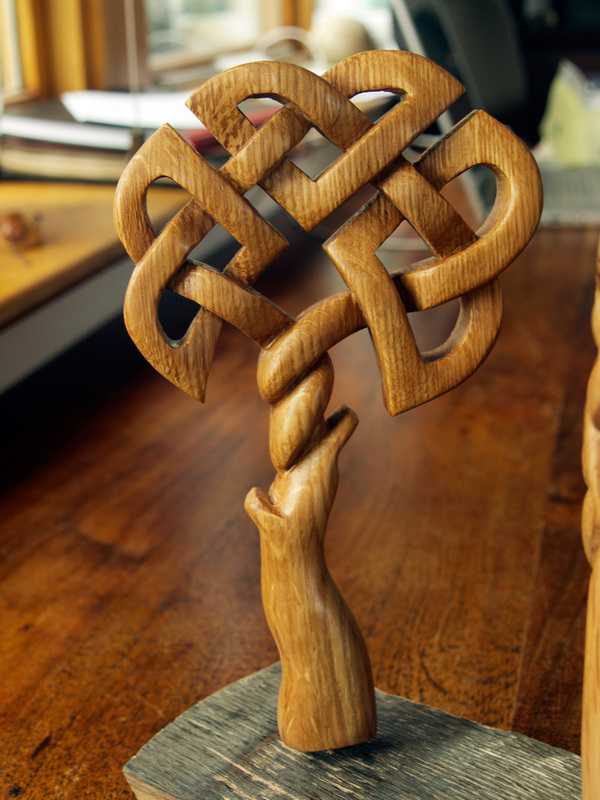 Another one last week went to the organisers at Kiltwalk to be given as an award. 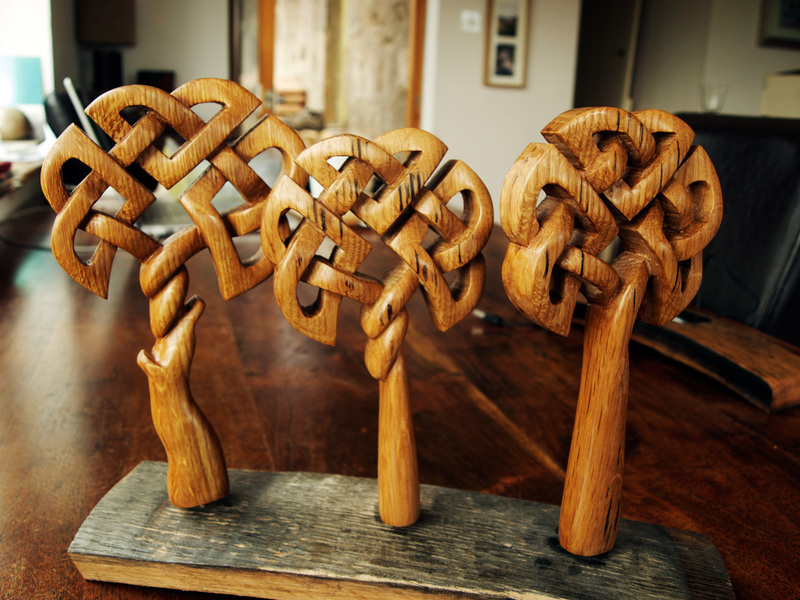 As I was taking part in the 26 mile charity walk along the Speyside Way on Sunday, the organisers asked if I would donate a piece and we agreed on one of my trees. For more information about Kiltwalk click here.